Douglas Hensley received Bachelor’s and Master’s degrees in guitar performance from the San Francisco Conservatory of Music. 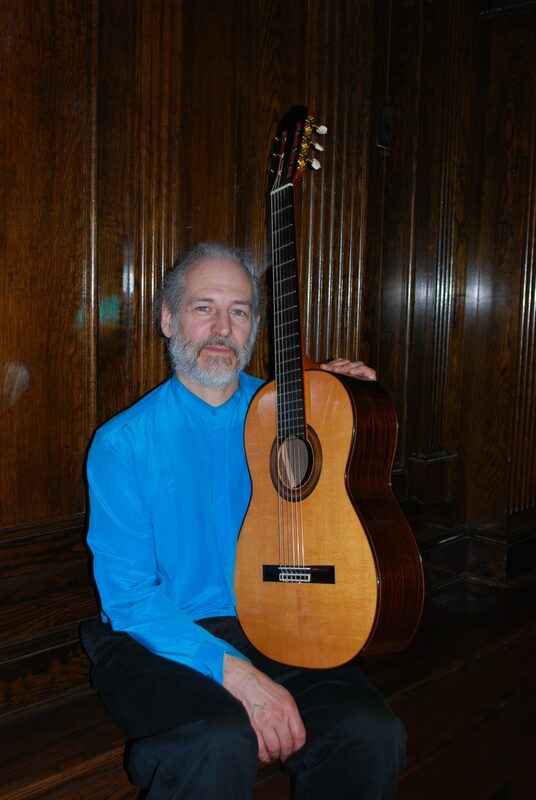 Mr. Hensley has significantly enriched the guitar’s repertoire by commissioning and premiering over 60 works by composers from many different countries, and he has recorded a wide variety of pieces on various instruments. Mr. Hensley is on the faculty of the Victoria Conservatory of Music, where he teaches guitar, lute, ukulele, mandolin and banjo, as well as the classical Persian instruments tar, setar, santur, and oud, which he studied with several Iranian masters in California and Paris. He has taught St Margaret’s students since 1998.